The HYDRO LED Weatherproof Batten series is a direct replacement to traditional T8 and T5 Fluorescent battens. Custom designed to colour match concrete ceilings, and incorporating a “quick fix” solution to allow for ease and speed of installation. Constructed from high-quality and high impact resistant polycarbonate, with a high transparency frosted polycarbonate diffuser. 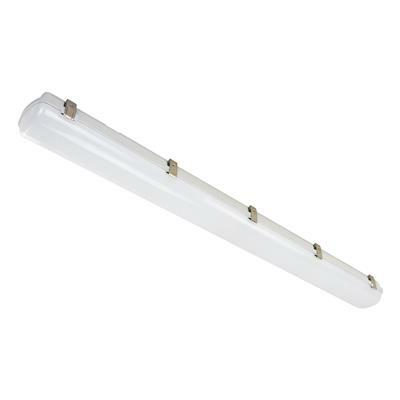 Available in 600mm and 1200mm lengths, 4000K Neutral White and 5000K White colour temperature options. 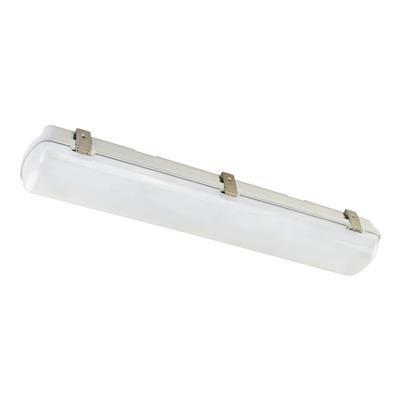 Suitable for domestic applications such as underground basements, garages, and outdoor areas. Also commercially for underground carparks.